The Daily Herald is reporting that a teenage boy was twice struck by cars while riding his bike in Sugar Grove. According to the report, the boy was crossing Route 47 at its intersection with Prairie Street when the back of his bike was struck by the first car that was travelling southbound on Route 47. This initial impact caused the boy to lose control and he was struck a second time by a northbound car on Route 47. Kane County police are investigating. 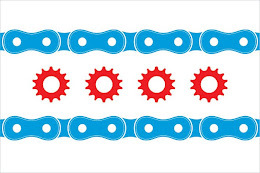 Illinois Bicycle Lawyer Mike Keating is currently handling several cases in Kane County. If you have any questions regarding cases like this, please call 312-208-7702 or email MKeating@KeatingLegal.com.